The mentoring program also fulfils a requirement of the Young Women’s Fellowship for participants to come up with a project at the end of the two-year Fellowship. 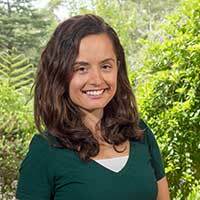 “So, for the project component, our cohort has split into two groups and one group is developing an Interfaith Resource and the other group is working on this mentoring program,” Christine says. Christine, who works in Communications and Marketing at Our Lady of Mercy College (OLMC), Parramatta, is no stranger to the concept of mentoring, having benefited from it herself. She has also established a mentoring program for OLMC alumni. “I’ve been lucky enough to have two work-related mentors – one through a professional association that I belong to and one through workplace connections,” she says. 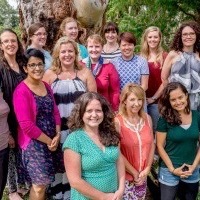 The Australian Catholic Women’s Mentoring Program will run under the auspices of the National Office for the Participation of Women, a body of the Australian Catholic Bishops Conference. Sign-up forms are already available on the OPW website. Eventually, Christine hopes to start a newsletter with a women’s mentoring slant, as well as host networking events. “The great thing about this mentoring program is that it will be structured around our faith and it will encourage women in their faith, as well as in their career and networking,” she says. Christine, who took part in last year’s World Youth Day pilgrimage to Krakow via the Holy Land, with the Diocese of Broken Bay, has experience in bringing Catholic people together to share their faith, having previously organised a successful social drinks event for young Catholics, which ran for a few years. “As a young Catholic myself, I didn’t find many opportunities to meet other people my age who were living out their faith, so I just set up a Facebook Event inviting young Catholics to meet for a drink in the city on a Friday night,” she says. “It was an opportunity to meet people and to encourage people in their faith, and it really took off. “The big thing is that you want to know that there are other people out there like you, staying true to their faith and doing different things in the world. Christine says that while the Australian Catholic Women’s Mentoring Program will start small, she hopes it will find its place within the Church. You can register for the mentoring program here.